UP Germany has partnered with SUPERLATIVE – MADE IN GERMANY to bring clients a new opportunity to tell brand stories in a big way. But Germany is just the beginning. These stories of the best, biggest, brightest and boldest of industry can be translated into many other market areas and countries. The brainchild of German-based photo agency fotogloria and the highly respected international photographer Christoph Morlinghaus, SUPERLATIVE – MADE IN GERMANY features the largest, smallest, farthest, highest, lowest, oldest, longest, most diverse, most effective, most northern, southernmost, most productive, and much more of German industry and business with super-sized images that tell important stories. The project was launched as part of “Day of German Industry” June 20, 2017 in Berlin with German Chancellor Angela Merkel in attendance. UP is supporting the effort with communications projects that let companies transform their SUPERLATIVE into valuable brand content, both online and offline. Superlatives are an excellent tool for storytelling, and become the central focus for all kinds of inbound activities, gaining high awareness with low marketing spending. From videos to social media to website content to tradeshow displays, UP can help companies produce content that brings the superlative story to new audiences. Want to know how your company can use SUPERLATIVES to create a unique and exciting brand story? 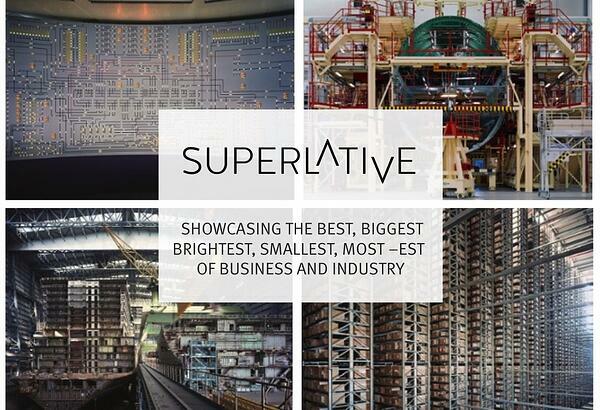 1. Who organizes SUPERLATIVE – MADE IN GERMANY? SUPERLATIVE – MADE IN GERMANY is a free, artistic photo project that photographer Christoph Morlinghaus and the Hamburg agency fotogloria launched in June 2017 as a photographic collaboration. 2. What is the idea behind the project? SUPERLATIVE – MADE IN GERMANY takes a photo-artistic look at the current economic and social situation in Germany. 3. Are there SUPERLATIVE projects in other countries, as well? SUPERLATIVES don’t know limits or boundaries. Everything is possible. Anywhere! If you are interested, feel free to contact us. 4. What exactly is a SUPERLATIVE in the framework of the project? We are looking for the largest, smallest, farthest, highest, lowest, oldest, longest, most diverse, most effective, most northern, southernmost, most productive, and much more. Everything that a SUPERLATIVE – MADE IN GERMANY describes can find its place in the project, because: We are simply looking for the special. 5. How is a SUPERLATIVE photographed? We always look for the picture that best describes the superlative – this is the production environment, but never a single product. We have set ourselves the goal of describing the superlative by means of atmosphere, environment, possible movement, or architectural features. Each superlative is different, special and is photographed individually. 6. How long does a SUPERLATIVE photoshoot take? Typically, it takes two to three days. The first day is the tour of the company. 7. What is UP’s involvement? UP helps companies turn their SUPERLATIVE into a compelling brand story by creating content that can be shared on social media, traditional media, online, offline and more.